You may be reading this description as a patient, a patients family member, patients friend or a case manager. Don’t feel overwhelmed, we are here to assist you. If you are in need of a Medical Charter Flight or an Air Ambulance Flight, we can arrange the proper private aircraft. Some individuals and patients have medical conditions that may call for an Air Ambulance flight while others may not call for such measures. 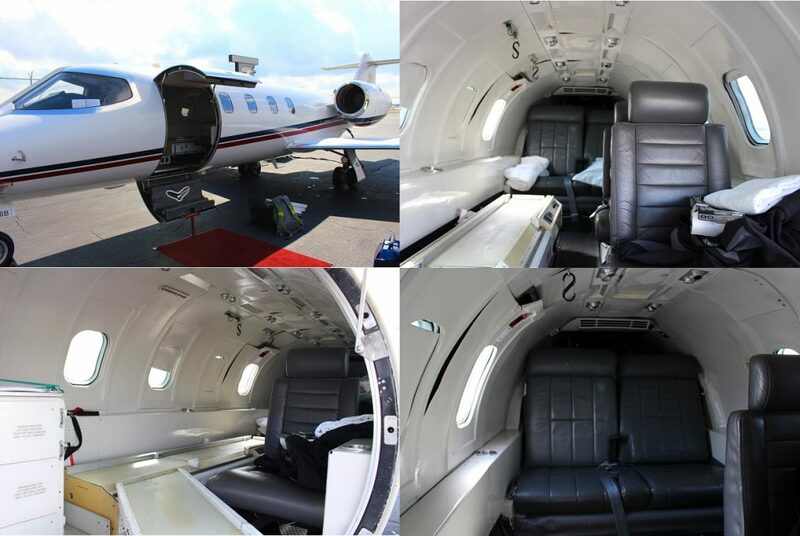 In addition, if needed, your medical charter flight can be stocked with the latest medical equipment so that the medical staff will have what they need to take care of all your needs. If you have any additional questions or need to book a Medical Flight, Air Ambulance, or Non-Emergency Medical Air Transport, just pick up the phone and give us a call – we are available 24 Hours per day, 7 days per week. We understand the importance of finding the right Air Ambulance Planes or Medical Charter Planes, and we will work to ensure that your specific needs are taken care of. Contact us for assistance with Non-Emergency, Emergency, Medevac, Medical Charter Flights and Air Ambulance Charters. There are many reasons that someone may need the accommodations of a Non-Emergency Medical Flight or an Air Ambulance. 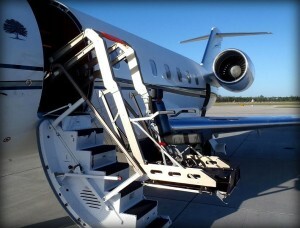 If a client is in need of a private aircraft with wheelchair accessibility, we have access to a Challenger 604 long-range jet, equipped with a hydraulic lift system for comfortable boarding and a wide cabin for maneuverability. The photo below is an example of what you may expect from some of the medically configured charter planes, however each aircraft is different. Which Flight Is Right For Me? Illness and Disease:Many patients may have an illness or a disease that complicates their ability to fly, or fly comfortably. Some are too ill to fly on a commercial airline as they require more space than a commercial airline flight can offer, more privacy, a lying flat surface or may just want a more comfortable scenario. There are certainly a lot of benefits to the above reasons, but in addition, it is more convenient and comforting in a private setting, using a private jet charter, and departing/arriving from a Fixed Based Operator (FBO) terminal. Person(s) with special needs: Whether the patient is traveling with family members or under the assistance of an Aid or Caretaker, they may find traveling on a Non-Emergency Medical Flight much less stressful than flying in a commercial aircraft setting. When chartering a private flight, there is no waiting in security or bag check lines, or being surrounded by hundred or even thousands of unknown strangers. Some candidate types may be individuals who have recently undergone a procedure and others may have neuropsychiatric disorders such as Autism or DS. There are a variety of reasons to charter a medical flight, air ambulance, medevac flights, or non emergency medical air transportation. The requirements for these flights change based on a variety of factors, and just like every flight we arrange, each of our clients and their situations are unique. Air Charter Advisors has direct access to a beautiful Challenger 604 long-range jet equipped with a hydraulic wheelchair lift, offering the most comfortable and convenient boarding process for our clients. This unique aircraft and it’s configuration has made it one of the most requested aircraft we offer. Check out the following link for more information and photographs of the Challenger 604 with a wheelchair lift. Our goal is to provide you with the highest level of service possible, including providing answers to all of the questions you may have regarding medical fights. Our team is available for you 24/7 – don’t hesitate to reach out to us and ask!